Question: Do you play Overwatch, and do you select Mei as your first choice? Elise: Yeah... I play Overwatch like 3 times a year. (laughs) I don't play video games before I was in Overwatch. Because I'm so part at playing games. I (my character) keeps dying, so I don't enjoy it. But my fans wanted me to play Overwatch in China and do a streaming session. So, I played a couple of times. At first I played as Mei, and it didn't go well. When I am shooting, I like to go forward and backward and then, ack! I'm dead. Sometimes, I play Lucille because I can fly all around the place, and do anything. And sometimes, Junkrat, because I don't have to aim. I just throw all the bombs out there. Mei? Not so good. Question: So, who is your favourite character? Elise: Mei, of course. But, besides Mei, I like Winston. He's a scientist. Question (in Mandarin): Do you feel awkward listening to your own voice whenever Mei appears in the game? Elise: No, because I am used to it. I go to the cinema, I hear my voice. I switch on the TV, and I hear my voice. I get used to it. Red Dot Diva: Are there any Mei voice expressions that you find challenging to perform? Elise: Of course! There are some words that I find difficult like 'Antarctica'. I can do it now because I practised saying it hundreds of times. And 'Objective! Objective!' Oh my god, I had to do that more than twenty times to get that right. Question: What has been the most memorable moments during this Overwatch project? Elise: When I was doing the Rise and Shine cinematic short. Because it was so emotional. My recording session often begins at 9 AM because of the time difference with the U.S. I do voice acting in Shanghai. It's kinda early. I just wake up and I have to do Mei, so I have to cheer myself up. I will be like 'Wooo!!! Amazing!!' (snaps fingers) I do this to cheer myself up and when I went to the booth, the story was all sad parts. So, it was a surprise to me. I practise how to cry at home. But it turned out, it was not necessary to cry so much because Mei is a brave girl. She's optimistic so I didn't need to cry a lot. I loved the cinematic. Did you all watch it? Thank you, Blizzard! 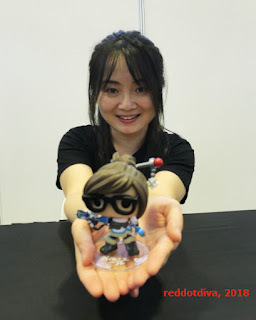 Question: Did Blizzard contact you almost immediately to hire you for the voice of Mei? Elise: There were two rounds of auditions. The first one, they told me that Mei is a scientist, she is happy most of the time, and she is curious about everything. We did not have any image at that time. We did not know what she looked like. They gave me a paragraph in English telling a little story. I read that, recorded it and sent it back to the U.S. And they picked a few girls to do a callback. I think, at the second round, I was competing with another girl who was not from China. I got the part because Mei is just like me. I don't have to change my voice, do anything that is too cheeky. I can't say that it is a tough job for me, except for the English part. Question (in Mandarin): What is the major difference between voice acting in movies and voice acting in games? Elise: Voice acting in movies, you have to be as natural as possible. You don't want viewers to think that you are acting something. It's about normal life, so you speak more naturally. But in video games, you have to exaggerate. Like in a fight. There's a little bit more acting. Question: Has your role in Overwatch created more opportunities for you career-wise? Elise: I think so, especially in China. In English, I can't do other characters because Mei is Chinese character, so I can do that. But in China, I'm well-known because of Overwatch, so I have more fans in China, and some producers want a voice actor who is famous to help promote their games. And I got a lot of opportunities in English voice acting in China. I don't know why, but they seem think I speak fluent English, but I don't. They also create heroes who can do the frozen thing, and they want me to do that. Red Dot Diva: Gaming is usually seen as a male-dominated industry or past time. In light of the #Gamergate controversy, have you faced fans or people coming up to ask your thoughts about this subject? Elise: Sometimes, the fans will ask the question 'what do you think about the women characters in Overwatch?' I like Overwatch so much because there are all kinds of women in the game. Like Mercy, and D.Va and Zarya, are like physically strong. And Mei is a scientist who may not be slim and physically strong, but she's smart. That happens in real life. It's about time. We need to have more female heroes in all games and movies. I think women are strong, sometimes even stronger than men. Sometimes. Red Dot Diva: Have you had any first hand experience with such negative or sexist behaviour? Elise: Actually no. People are so friendly to us. But I'm really bad at playing games. There was a time when I was playing games in Honolulu at a con for charity. And I was so bad, so I am not sure if anybody was talking about me. I don't know. I hope not! 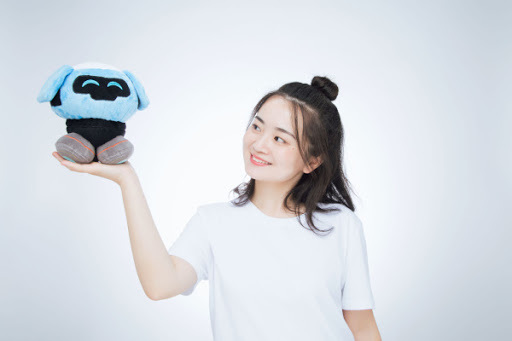 Question (in Mandarin): What do think about Mei being called the Ice Devil? Red Dot Diva: Is there any other voice acting role that you wish you could do? Question: Any tips that you could share for those who are aspiring to be professional voice actors like yourself? Elise: I didn't learn how to voice act in school, so I may not know the theory of voice acting. But my mentor told me to observe the people around you - how do they told, how do they react to any action. And remember that feeling, and remember how do I act in real life, like how I laugh, how do I cry. Remember that feeling and use it and use it at the audition. Sometimes, when I was crying. I take notice. That's how I cry, and then I'm not sad! You have to learn from real life, and from the best cartoons and movies, and learn how those characters talk and react. Red Dot Diva: So, do you have a favourite animated movie that you think has wonderful voice acting? Elise: Ooooh! I love allllll Disney cartoons! All of them! My favourite is Frozen, of course. I love Elsa. And I love Tangled. I love Mandy Moore. She's so cute and she sings so perfectly. I was nominated for a voice acting award. Not an official one but a fan organized one. And I was nominated together with Mandy Moore. I'm so honoured! Question: Which Mei lines fit you the most? 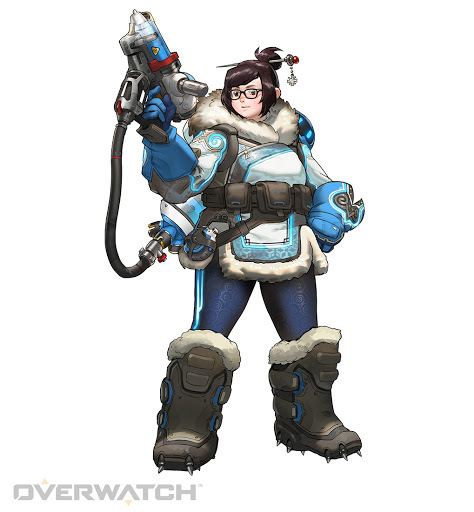 Question: If you are given a choice of a Mei skin, how do you want Mei to look like? Elise: The Beijing opera kind of look. Wearing thick make-up and two long feathers. But, that will be an easy target. So maybe, no, without those. And all the opera warrior costume, that would be so fun. Red Dot Diva: Did you expect this much popularity when you took up the role of Mei? Has it been overwhelming? Elise: I knew Overwatch will be a big thing, and I knew Mei would be popular because I think, she is the first Chinese character in Blizzard games?? But I didn't expect that the game will be such a big hit all over the world. At first, I got a lot of fans in China and then, convention organizers began to contact me on Twitter, and I flew all the way to America to those cons, and saw thousands of fans there. We were so welcomed, it was amazing. And I think Overwatch is such a good game. It spreads positivity and people are doing good things because of Overwatch. There are games were it is just about killing and bombs, but Overwatch is much more than that. And I am so honoured to be part of it. And I love the community. They are so creative. They always tag me on Twitter showing me their fan art. When I saw those paintings and handicraft, I was blown away. Question (in Mandarin): Other than Mei, do you have any other favourite characters which you have voiced before? Elise: Do you know I voiced Symmetra in Mandarin too? So Overwatch is like three parts of me - Mei in English, Mei in Mandarin and Symmetra in Mandarin. I like Symmetra too. She's not a social girl. She likes to keep to herself, kinda like me sometimes. And I love to do the Symmetra voice lines, like 'Yahí param vaastavikita hai!' So, I got the chance to learn Hindi, which was cool. I also voice acted in We Bare Bares as Chloe, and Baby Grizz, the little brown bear. And I loved that, because the bears are Sooo Cute! Question: Have you been to Malaysia before? Question: Would you like to visit Malaysia in the future? Elise: Of course! Such a beautiful country, and lots of nice food. 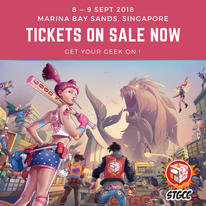 (Turning to Gamestart minder) I hear that you will be taking the con to Malaysia. Elise: I wish I can go. Red Dot Diva: You mentioned that this isn't the first time that you have been to Singapore. Elise: Uh huh. I was here in 2016. Red Dot Diva: So, were you excited when you found out you have been invited as a guest of Gamestart Asia? Elise: Yeah sure! I was here previously with my friends. We went to Universal Studios and all the zoos! All of them. It was tiring because we had to plan and schedule everything ourselves. But this time, I was guest and I was very well taken care of! I heard that there are a lot of fans in Singapore, and the response for the show was good. Red Dot Diva: Yes, when you were announced as a guest, there were a lot of fans 'screaming' excitedly on social media. Elise: Oh! I'm so honoured! I will meet them in two hours. I'm so excited. I love Singapore, by the way. It's like a big garden. I don't do much shopping. I love plants and I love animals. There are all these trees around. So, perfect for me. Red Dot Diva: What about the food? Elise: Oh my god! Yes. Tonight, I am going to eat some crabs. And durian. I love durians! Yesterday, I went to Maxwell Food Court, and I had the Tian Tian Hainan Chicken Rice, and I ordered half a chicken. Just for myself. I was walking like 6 hours yesterday, so I should have half a chicken. Red Dot Diva: Well deserved! After the interview, Red Dot Diva was happy to be able to flex biceps with her! Did you get to meet Elise at Gamestart Asia? Feel free to share with Red Dot Diva about your fan meet and greet experience with her!